NOVA International Schools had the honor of hosting the annual Central and Eastern European School Association Hands On Student Involvement Conference for 2013. Eight different international schools, each with 6-10 participants took part in this conference, the topic of which was "Modern Society." NOVA's students had four presentations on communication, youth activism, social justice and human rights in the modern world. Not only did NOVA students present, but also, our students had the privilege and responsibility of organizing the entire conference. As the name suggests, the goal of the conference is to involve the students entirely, so they were required to take full responsibility and organize the conference from scratch. The team was composed of more than fifteen NOVA students, with Nikola Danev as the student-leader/organizer, Gjentil Abazi as organizational head, Donna Urdinov and Vladimir Maksimovic as Media heads and Petar Pesev as the head of IT. Presentations were held by: Jana Cholakovska, Donna Urdinov, Mila Georgievska, Emilija Tashevska, Ana Arsovska, Gabriela Milkova, Simona Sarafinovska and others. All of the organizers and presenters were supervised by Mr. Aleksandar Ristovski, Ms. Melissa Mitreski and Ms. Bela Gligorova, who generously devoted their time to the conference. 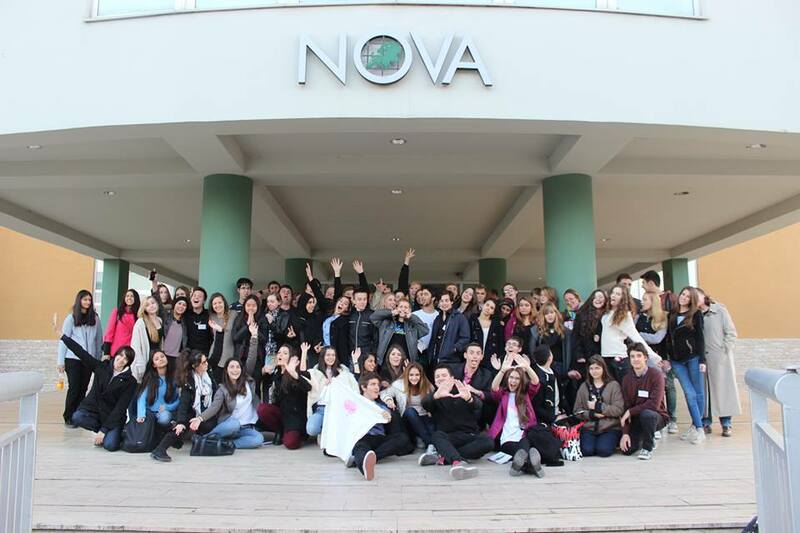 The NOVA HOSIC team would like to thank the NOVA administration, cafeteria, teachers, staff and students for their support of the conference and for the undying enthusiasm. We also wish the best of luck to our colleagues in AIS Vienna who will host the next HOSIC in 2014.